Peter Lorre once said he had no memory of doing the Mr. Moto series. This was years after the fact, of course, and we know he had a low opinion of these "B" (in name only) mysteries, particularly after the first couple of entries when he realized Fox had no intention of giving him the varied roles he craved. That quest to avoid typecasting was what brought him over from Columbia in the first place, but honestly, how could you avoid typecasting Peter Lorre? There was something vaguely sinister about his countenance (most of the time it wasn’t even vague) and that voice was never less than unsettling, particularly when it dipped toward a frenzied growl or soared upward to shrieking malevolence. I just don’t know how many conventional parts this man could have done. Mr. Moto probably comes closest, yet Lorre plays it in such wildly unconventional terms as to make Moto’s status as hero a little doubtful, which works very much to the film’s good. Maybe Lorre was just ahead of his time (there’s certainly no argument as to that among his fans), for his performances as Moto are so engaging, so unpredictable, that we tend to think of them as "modern." Not that modern filmmakers are likely to come up with a character as arresting as this one, but Lorre’s style has an appeal to present day sensibilities, for never at any moment does he pander to cliché, much less accommodate establishment notions of what a movie hero "should" be. There was something profoundly mysterious about this man, as if things were swirling about his mind that none of us could ever comprehend, let alone anticipate. Lorre gives these Motos a tension and menacing quality that only he possessed --- the idea of anyone else assuming that role is just unthinkable. I was surprised and delighted to see Moto dispatching his opponents so casually. None of this shoot the gun out of their hand nonsense. He just fires away, then stands over the man’s corpse and softly intones the fact we’re well rid of him. Moto doesn’t subdue his enemies --- he finishes them off. Anyone mucking about with him is likely to die. I don’t know how the Code let some of this by. There’s a peerless moment in Think Fast, Mr. Moto where he interrupts a would-be shipboard burglary, judo-tosses the rather unpresupposing henchman about the room, then hurls the clearly defeated miscreant overboard into an ink-black sea --- so much for due process and "bringing them to justice." In Thank You, Mr. Moto, he manipulates the villains into killing each other off, then smirks off the whole thing whilst surveying a room littered with their remains. Who but Peter Lorre could execute all of this with such finesse? I understand he was tight in the grip of morphine addiction during production of these shows. Director Norman Foster said Lorre was so weakened that a mere flight of stairs was beyond him. In fact, the actor came out of a sanitarium to do the first Moto. You’d not know it by watching, though (and co-workers never detected problems either). Lorre picked up the habit in Berlin, where a combination of tuberculosis and a bungled appendectomy left him in chronic pain. Those procedures they did on Lorre (there were two whacks at his appendix) sound like something out of Dr. Moreau’s House Of Pain. Must have been hell getting sick in Berlin during the twenties. 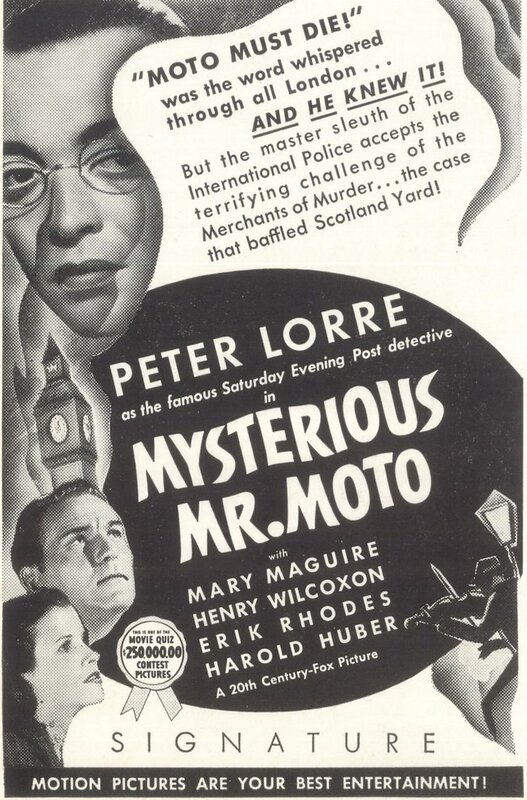 Don’t confuse Mr. Moto with other mysteries. These aren’t plodding whodunits, but vigorous, globetrotting adventure yarns, quite belying their supposed "B" economies. Fox's backlot is loaded with extras, sets are handsomely appointed, and supporting casts are a who’s-who of character legends. You know you’re in good company when a door opens and John Carridine walks in, or Sidney Blackmer, or Sig Rumann --- the list goes on. I checked out a few numbers in an effort to figure out how such modest 65 minute movies could look so rich. Think Fast, Mr. Moto was the first in the series. It had a negative cost of $181,000. That’s a typical "B" budget, but this picture sure doesn’t look it. 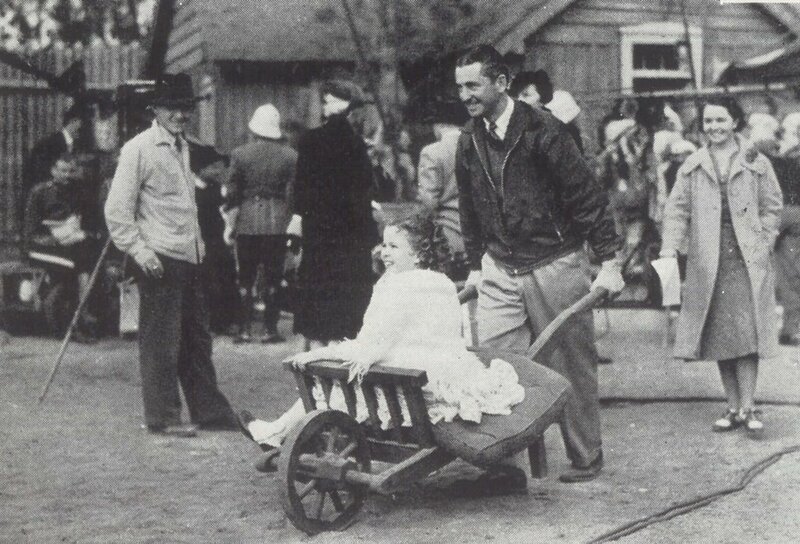 Producer Sol Wurtzel (shown here watching Shirley Temple’s wheelbarrow ride) had access to all the standing sets at Fox. After Four Men and A Prayer, The Baroness and The Butler, or some similar big one would clear out, the Moto unit would move in. All eight entries in this series made money. Think Fast was by far the biggest with $277,000 in domestic rentals, $226,000 foreign, and a final profit of $134,000. From there, the Motos slipped in terms of revenue --- Mr. Moto Takes A Chance was just $38,000 to the good, and Mr. Moto’s Gamble took only $27,000 in profit. Still, none of these pictures ever lost a dime, though I wonder if the series would have continued much longer, even were it not for the intervention of World War II. Of the Fox series in production around 1939, the Motos were the least remunerative --- Charlie Chan, The Jones Family, and Jane Withers were all performing better, though not by that substantial a margin (by the way, this little gag drawing of Chan, Moto, and Sherlock Holmes looking for their soundstage appeared in a 1939 Fox sales manual sent to exhibitors). One thing that sustained the Motos was judo action introduced in the first, then emphasized further in subsequent entries after positive audience reaction called for more of the exotic combat technique. 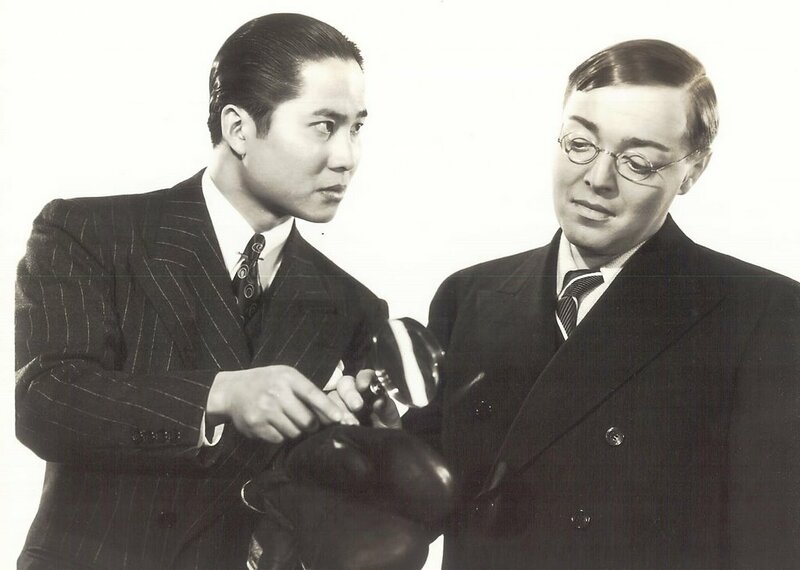 These were days Lorre could stay home, for he never went near any of the strenuous stuff, but had a stuntman, Harvey Perry, who matched him physically and proved an effective double for all the fights. My info suggests that Lorre started out with Fox in 1936 at $750 a week, but the record also reflects he got $10,000 for each of the Motos. That may have been the sweetener necessary to keep him on the job for these things, though it was nothing like $40,000 per show Warner Oland pulled down for Charlie Chans he’d done. On one occasion, crew member’s idea of a practical joke found Lorre’s wallet and ID replaced with a fake just before he left the lot for home. 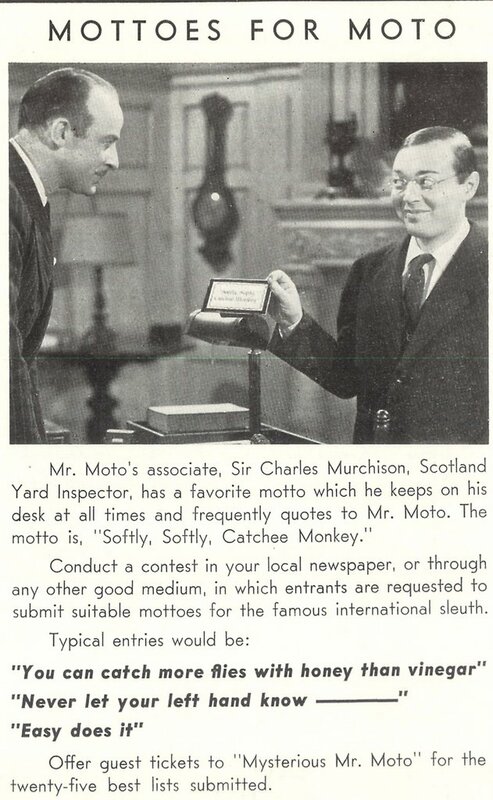 This would be the time he’d get pulled by traffic cops, but imagine their surprise when Lorre produced a card identifying him as Mr. Moto --- Japanese Spy. Fortunately, the movie fan patrolman understood the jibe on Lorre, and turned him loose, but picture such a gag being executed after Pearl Harbor, such a short time later. Just as he’d wearied of being spat on in Berlin for his all-too-convincing portrayal of the child murderer in M, now Lorre bristled at kids addressing him as Mr. Moto and asking for judo demonstrations. Fox added insult to injury when they sought him to play red herring for The Ritz Brothers in their sign-off vehicle for the company, The Gorilla. It was definitely time to powder out of Fox --- nearly four years of being "sold down the river" (as he put it) was quite enough for Lorre. As great as he’d later be with Bogart, Greenstreet, and other screen partners, he’d never have a part like Moto again. The best evidence of his greatness in that role is presently on display in Volume 1 of Fox’s new DVD box set containing four of the eight series entries. They are all fantastic. I only await reassurance from Fox that the remaining titles are forthcoming. I had heard of Mr. Moto...but your post today was my first real introduction to him. We were set to recommend the set in today's roundup, but I wanted to know more before we recommended it, and of course my daily stop to Greenbriar is exactly what the doctor ordered. We'll send Shelfers here for more info, but now I'm really looking forward to watching my set when I get it. Thanks again John, for your wonderful site and this post. PS.- The photo of Gail Russell searching for her driver's license has to be one of the saddest photos I've seen you post. It true underlined the story you posted. This was a women who seemed to be caught up and then trapped by a system she never wanted to be a part of. I always enjoyed Lorre in the MOTO films. [Heck, I always enjoyed Lorre in ANY film.] But the Moto films are pretty much unique in the actor's career; Lorre plays not only the lead, he's the hero. [While Moto is certainly an unconventional hero, he's far more heroic than many of the other roles he was given in Hollywood.] Lorre isn't Asian, of course, but he's otherwise perfectly cast as the likeable, brilliant, dynamic but somehow elusive sleuth (or whatever Moto is supposed to be). Given that his early U.S. pictures performed relatively poorly commercially -- the MOTO films really made Lorre famous in America, and conferred on the actor the sort- of- a- movie- star cachet he held until his death. 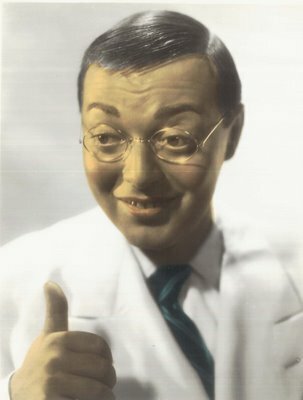 While he likely did chafe at Fox (and other studios) due to lack of imagination on the part of producers and casting directors -- as Bill Warren has noted, Lorre could have played nearly any role with genius and distinction -- the MOTO films at least showcased something of his prodigious talent off to the public. And they're just a lot of fun, I think. I wish Columbia would get around one of these days to releasing a dvd of the haunting THE FACE BEHIND THE MASK, my favorite American Lorre starring vehicle. It would also be nice to see a decent video release of DER VERLORENE, the moody, striking 1951 German film which Lorre starred in and directed; I saw this at NY's Film Forum in the mid-80s and have never forgotten it. Say, Mr. McElwee -- can you tell us what the heck "The Movie Quiz $250,000 Contest" was? 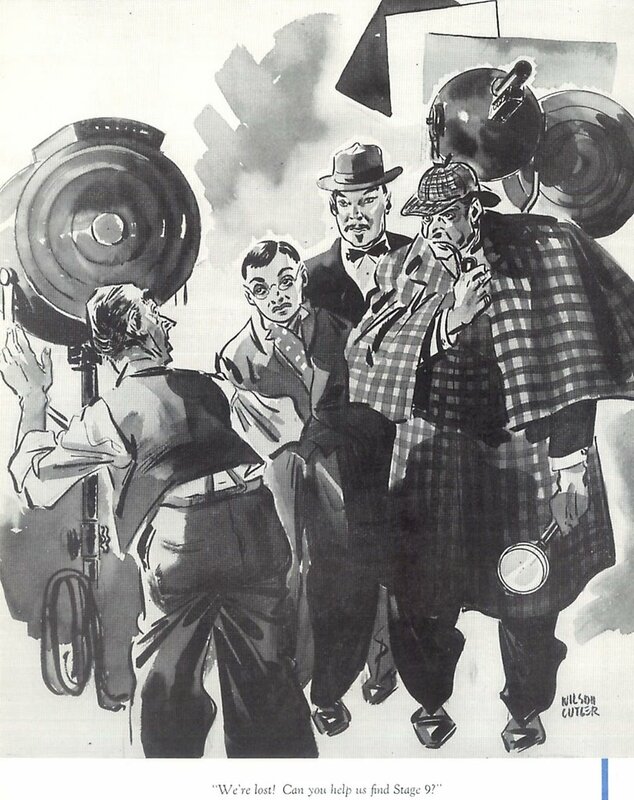 This burst appears on various ads -- and even a few one-sheets -- for a number of Fox pix of the late '30s. I presume it's too late to enter, but it would be interesting to know something about the contest. As Arlene Francis said to James Cagney in Wilder's ONE! TWO! THREE!, "think fast, Mr. Moto!" I Wondered what the 250,000 dollar Movie Quiz was for years myself untill I ran across an original quiz pamphlet at a flea market. The quiz was sponsered by "leading Motion Pictue Exhibitors of America" in which they claimed 1938 to be it's greatest year. A total of 5,404 cash awards were to be given with 1st prize being 50,000 dollars. Contained in the pamphlet are thirty detailed trivia questions for thirty features from all studios released during 1938. All poster materials from the films that had trivia questions carried that round "$250,000" movie contest logo that film buffs have seen over and over. Bottom line was that you would try to see all the features in the contest. I doubt that a small town theater would have run all thirty. Last but not least, you had to select the one film you liked best and write in fifty words or less why you like it so much. The original owner of my copy selected Boys Town. Oh,by the way "Mysterious Mr Moto" is included with the question being "what time does Big Ben strike in the movie" guess I need to get the box set and find out!! A great MOTO question, too -- one you'd certainly have to see the picture in order to answer. I wonder what the other quiz questions were like. Hey Mike! Thanks for the info on that $250,000 movie quiz contest, and thanks AGAIN for all your help with Lili Damita last week! I need to make a correction concerning my comments about the $250,000 movie quiz. There are actually 94 1938 features that participated in the contest. Of these 94 you were only required to answer trivia questions for 30. In my haste to leave my comments I failed to count the total number of films. It seems that a great deal of planning went into the contest and that the pamphlet must have been distributed early in the 1938 year. It is noted in the introduction that some of the films were then out and the rest would be released throughout the year. Contest deadline was 12/31/38. If this contest was on the up and up it must have been a pretty big deal as $50,000 cash top prize would have been a small fortune in 1938. My guess is that the studios probably contributed to the prize fund for each film that was in the contest and perhaps was even figured into the budget. I'm sure being a contest picture added to the gross receipts. Warners alone had 13 pictures participating. Believe me, you would have to see the pictures. I picked a few out from films I had seen like "Four Daughters" and "The Sisters" and couldn't answer them. You would definitely want to plan to take your pamphlet with you when you went to see the picture. Hope this helps to keep things accurate. I hate to pass off misinformation. Especially on the internet where things tend to get passed along. "Nancy Steele Is Missing!" and "I Was An Adventuress." 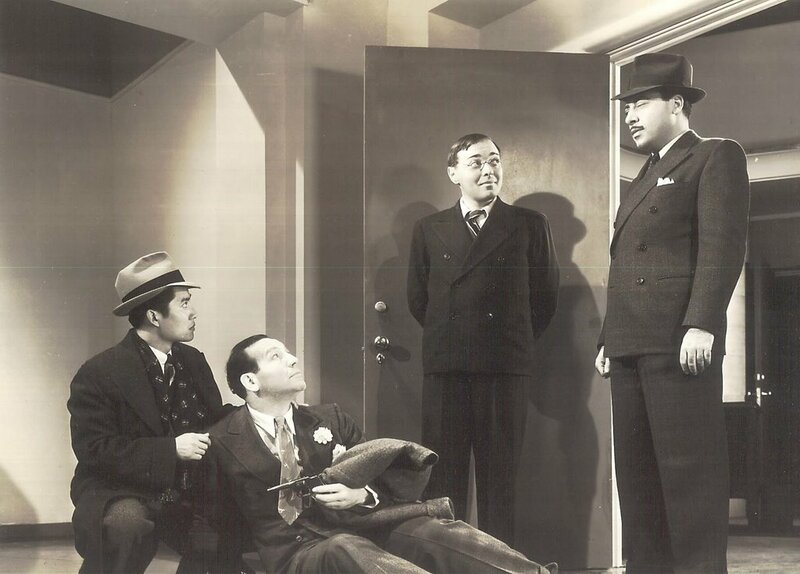 I hope Fox realizes someday that there are Peter Lorre fans out here and that we will buy his films on DVD even if he's not pretending to be Japanese in them.